Leave the farms and cities behind, jump straight into managing your own planets in The Universim, a brand new god-game in development by Crytivo Games and Alexander Koshelkov. The Universim is first and foremost a planet management game. The game begins in the stone age, thousands of years before the modern era. Research plays a crucial role in the game. Players will initially need to reinvent fire in order to survive attacks from wild animals or create cures for deadly viruses and other ailments. We’re developing planets that will have air, weather effects and varying temperatures and natural resources along with deadly natural disasters such as earthquakes, tornadoes, freak storms and meteors. In The Universim you play as a god, you will not interact directly with the population that inhabits your planet, however you will be able to help them. You will have the power to stop wars between cities on your planet or you can ignore them and allow one city to destroy the other. 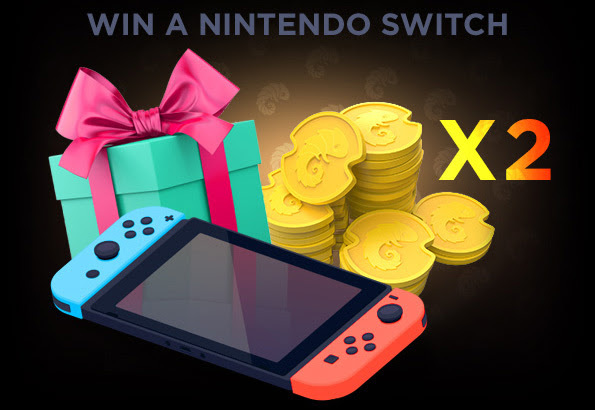 We will be selecting one lucky person to Win a Nintendo Switch! Make sure to follow us on Twitter and Facebook. Anyone who is registered on www.crytivo.com or has purchased a game from us is eligible for the drawing. Don’t miss out! The Steam Release is edging ever closer, and we’ve been itching to have a proper discussion with you about what’s happening at Crytivo. It’s been a long road, plagued with obstacles and pitfalls, but your support has spurred us on throughout it all. Thank you for all of the love over the years! You are truly divine. We think it’s about time we sat down and chatted about the game’s direction, current work, and answer all of your burning questions. We will be conducting a special live stream on May 19, 11:00 AM Pacific Time at: Twitch.tv. During the stream, we will be selecting one lucky person to Win a Nintendo Switch! Make sure to follow us on Twitter and Facebook. Anyone who is registered on www.crytivo.com or has purchased a game from us is eligible for the drawing. Don’t miss out! Please read all rules and limitations here.